The Government is warning more farms than previously expected are likely to be affected by the cattle disease Mycoplasma bovis. The disease has been a huge burden on affected farmers. "The human toll, the mental toll, the stress toll is massive," Federated Farmers dairy industry chair Chris Lewis told Newshub. "This is bigger than you realise. This could be everywhere," he warned. A cull of 22,000 cows is already underway, with 11,000 of the animals already killed. By the end of Wednesday, the number of farms actively infected had risen to 38, with another 40 likely to become infected. An additional 1700 properties are "of interest" because they are near infected properties or because of the high-risk movement of animals. That news will be devastating for farmers. "It's not just a job," Mr Lewis said. 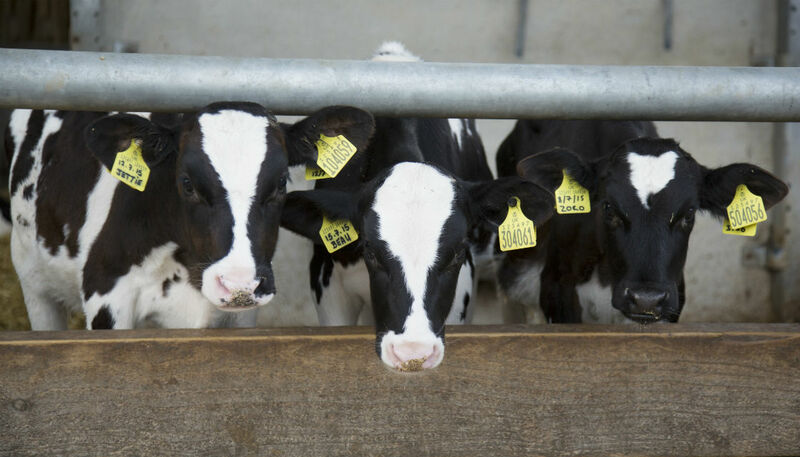 "[Farmers] take the calves from the first day they are born and feed them and turn them into a beautiful calf. You get quite close to your animals. [The cow is] with her parents, grandparents, great grandparents, which you've bred for the past 20 or 30 years." Biosecurity Minister Damien O'Connor said all infected properties are connected in some way. He said tracing the disease was made more difficult by the poor use of the national animal tracking system (NAIT). "We could have tracked this more quickly if the system had been used properly. The previous Government's inaction, lack of enforcement and promotion of NAIT has created major issues for hunting down Mycoplasma bovis." Dairy farmer Mr Lewis agrees the NAIT system is an issue. "Some farmers have not done a good enough job but also the system we use has not been good enough." National's MPI spokesperson Nathan Guy says the question is whether there will be enough funding in the Budget to manage or erradicate the disease. "Compensation has been too slow and farmers are starting to hurt now. The banks are circling," Mr Guy said. "They've got a Hell of a decision to make. The issue is about political management now - whether there's enough funding in the Budget."